How can I save SMS from iPhone to my computer? I need to save SMS on my iphone to a computer. I searched many forums, but didn't find a way. Does anyone have an idea to help me save my iPhone SMS to a computer? I'm waiting online for a solution. Your advice will be very appriated. No matter why you want to save your SMS from iPhone to a PC or a Mac, you need to rely on third-party software. You can't do it without any other help. Even iTunes, the best companion of your iPhone, can't help you selectively save iPhone SMS to a computer as a readable file. Thus, the first thing you need to do is to find a right tool that lets you selectively export your iPhone SMS. Where can you find such a tool? 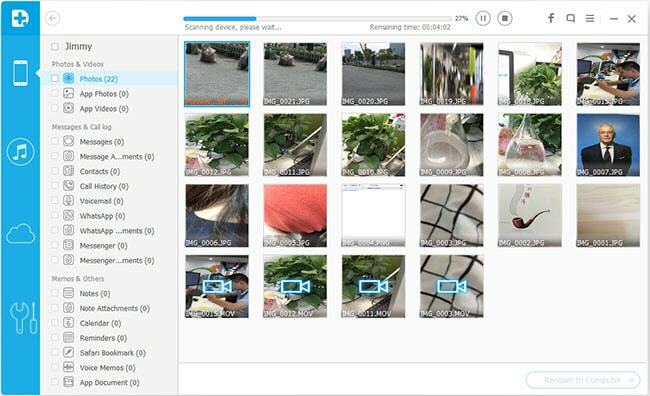 Look here: Wondershare Dr.Fone for iOS (Windows) or Wondershare Dr.Fone (Mac), which can directly scan your iPhone, and allow you to selectively save data on it, including SMS, contacts, photos, videos, notes, call logs, etc. 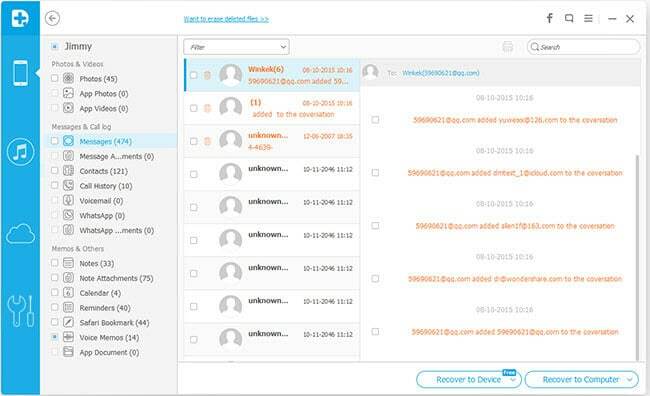 Furthermore, you can use it to retrieve deleted data from your iPhone when you mistakenly deleted them from your device. Just have a try to find more functions great for your iPhone. Here, let's try the Windows version of Wondershare Dr.Fone for iOS on your PC. If you're a Mac user, it doesn't matter. You still can follow the way below to save your iPhone SMS to Mac in a similar way. 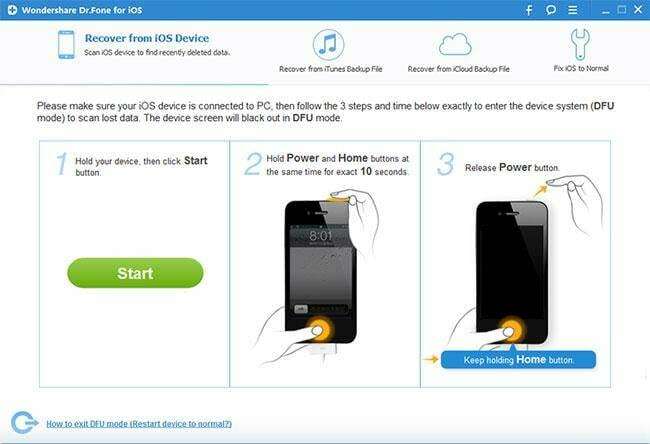 To begin with, launch the program on your computer, and connect your iPhone to the computer. Then you'll see the primary window as follows. For iPhone 4/3GS: Download a plug-in if you're here. To continue, you only need to click Start Scan on the window if you use iPhone 4S or iPhone 5. 1. Hold your device, and click Start on the window. 2. Hold the Power and the Home buttons on your iPhone at the same time for exact 10 seconds. 3. Release the Power button when 10 seconds passed, but keep holding the Home button for another 15 seconds. When you're told that you've successfully entered the device's scanning mode, the program will begin scanning your iPhone for data on it. Now, move to the next step. The scan will take you a short while. 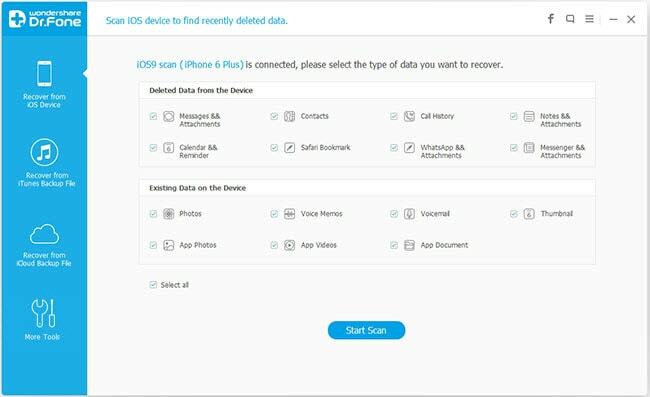 During the scan, do not disconnect your iPhone and don't connect other iOS devices to your computer, in order to get a successful scan. When the scan completes, you can preview all SMS on your iPhone in the scan result as shown below. Preview them one by one and mark those you want. Click Recover to save them all on your computer with one click. Note: As you see on the left side of the window, you also can preview and save them on your computer when you have a need like that. Data found here contains those deleted recently and those right now existing on your iPhone. You can use the button on the top to separate them: Only display the deleted items.